You may use 5 1/2 cups frozen or drained, canned sour cherries in place of the fresh cherries. i had high hopes for this, and although it had good gel it lacked in flavor...i found it bland, tried adding vanilla, but going to continue looking for the perfect cherry pie.. 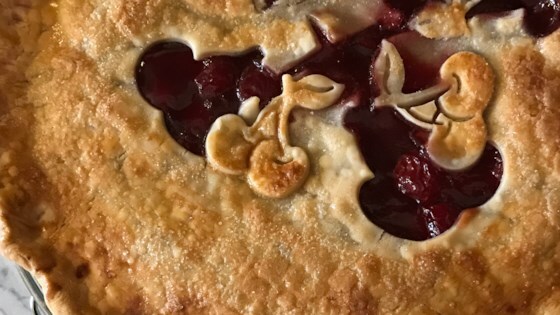 This wonderful pie filling recipe has solved my problem with runny cherries without a pasty or custardy filling. I used my own crust instead. I can see why it won first place. And oh so easy!